This is a short posting of some Cryptozoological oddities in the area. Apparent UFO sightings have continued from the 1960's through to the mid 1980's up on Tower Line Road, where it was said, "If you want to see a UFO, go up Towerline Road at night." - Anon. I am not sure how true this is but it is what I have heard. Also another story was told to me in 1998 from an elderly man who claimed a crashed UFO is in the same place. Fishers on Weatherall Lake reported seeing a snake like creature break the surface of the water in the Summer of 1996. "It was about 20 feet long and it's color was black and green, and stayed up for about 10 seconds, then it disappeared." A man on a reservation claimed seeing what he could only describe as a Sasquatch making it's way along the bush line, after his dogs began to bark wildly one summer morning. He stepped out to see a large black beast on the property not more than 40 feet away, and was "Clearly not a bear." as it walked along and then veered off into the foliage. 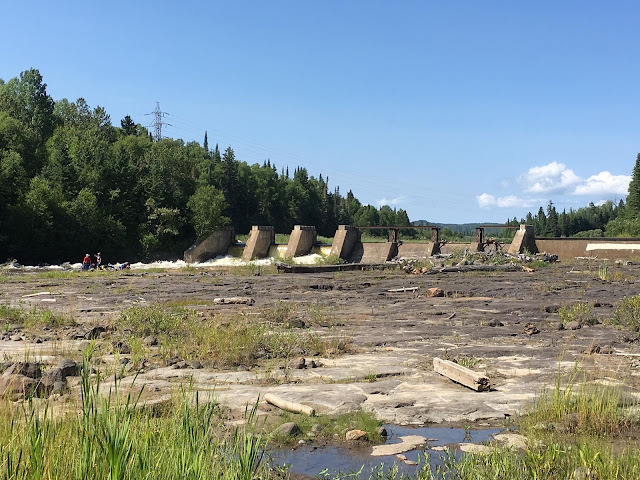 Fishers on Lake Nipigon also reported an early morning encounter with a snake like creature which broke the surface, swam a distance and submerged. This is the year I first heard of the Seine River Serpent. Residents on the river have a history of seeing this creature.